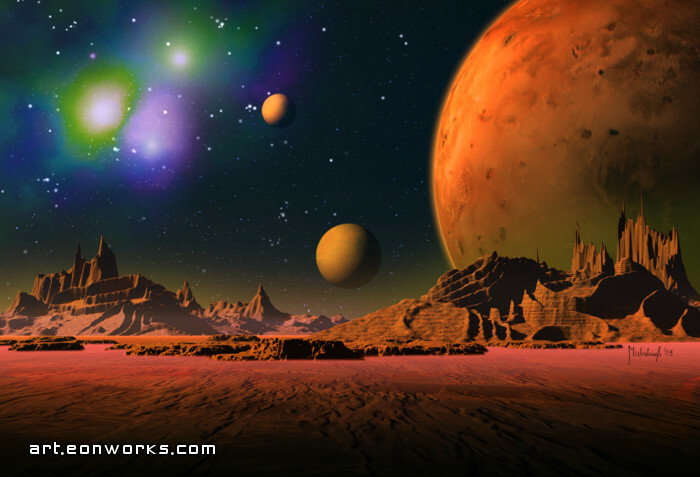 In 2009 this space landscape was featured on the front page of Fine Art America. I rendered this image for the Anosphere music album "Nation of love" CD cover, and partially named it after one of the album tracks that Anosphere send me during the production process. If you like spacesynth music, I can recommend Anosphere's music. See this video to get an idea what kind of music this is. omg! i love it, it has made my morning, i'm in love with your work!! !